‘Texas Chainsaw 3D’ Leatherface actor Dan Yeager, hosted a party for the Blockbuster horror film at Baby Dolls Lounge inside Eli Roth’s Goretorium Las Vegas this morning. Eli Roth partied with a host of ghouls and freaks at a special “All Hallows’ Eve” edition of Hyde Bellagio’s Lost Angels insider night last night. 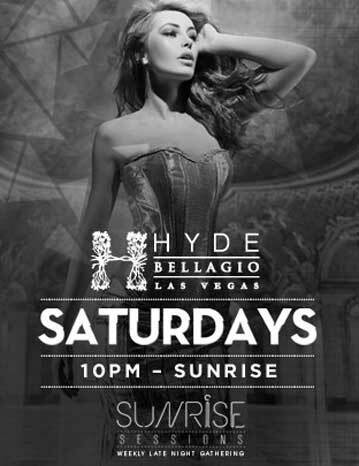 Hyde Bellagio will celebrate its first Halloween on The Strip presenting two vastly different but equally epic holiday bashes – the Dr. Jekyll and Mr. Hyde of parties. Embracing a split personality, Hyde will intrigue guests with one night of allure and mystery with a masquerade party hosted by Stacy Keibler Saturday, October 27; and another of horror and shock with a special frightening edition of Hyde’s Lost Angels Tuesday, October 30, featuring the EC Twins and ghoulish characters from the city’s newest terrifying experience, Eli Roth’s GORETORIUM. Eli Roth’s GORETORIUM held its grand opening with a packed house of souls last night of Vegas’ first year-round haunted attraction. The 15,000-square-foot $10 million project packed with state-of-the-art scares, bone-chilling special effects and a cast of horrifying characters hosted a private grand opening event.